If you're in the market for a new SUV, the new 2018 Chevy Equinox may be right for you. The Equinox is a small, compact SUV that's ready to hit the road. It can hold your family and your belongings, and is still stylish and comfortable.It may just be the best SUV on the road! 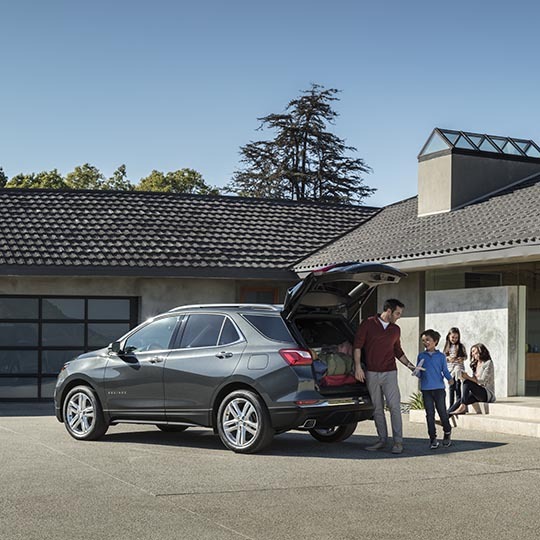 The new Equinox interior is spacious so you and your passengers will have ample leg room. If you're carrying cargo, you can fold down the back seats and also access the back end storage compartment. The center console offers all the Equinox's technology within easy reach. Depending on trim level, the Chevrolet Equinox has 3 available engines: 1.6L Turbo-Diesel, 1.5L Turbo, and 2.0 Turbo. LS, LT, and Premier models have available all-wheel drive to tackle slippery or snowy roads. Buy or lease a new 2018 Chevy Equinox at your nearest Billion Auto Chevrolet dealer. Apply for auto financing today. View any current Equinox specials we may have. Be sure to service your current Equinox or other Chevrolet vehicle with us. Browse all our new Chevrolet inventory if you're unsure of which model is right for you.